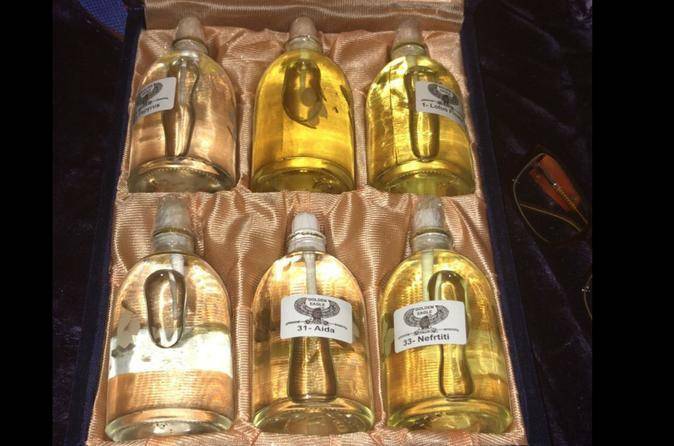 Experience Authentic Egyptian Fragrance Oils specially The famous Lotus flower Oil, that are free from alcohol and chemicals, all sourced from Egypt. They also offer an array of Egyptian Products that are displayed at your trade events shows. Egyptian House of Lotus flower oil have been successfully supplying Egyptian Oils and products for over 85 years and are proud to offer a beautiful assortment of Egypt’s finest fragrance Oils. All our Oils are designed to be worn as an alternative to perfume and aftershave sprays, giving you a more natural and long lasting aroma throughout the day. All our Egyptian Oils are presented to you in a traditional decorative glass bottle with a glass top and housed in an Egyptian box. We do hope you will take a look and select an Egyptian Fragrance made just for you. We at Egyptian House of Lotus flower oil recognize that in todays changing world, there are many of us who cannot wear perfume sprays or colognes, some of us simply prefer to wear Oils. This is because all perfumes contain Ethyl alcohol, it is the presence of alcohol that cause Allergic reactions to the skin. Alcohol is also an evaporating agent as it dries on the skin through out the day, delicate notes of the perfume diminish,altering the aroma of the perfume dramatically. Wearing Egyptian Oils on your skin not only leaves you smelling Wonderful but the absent of alcohol is far more kinder to the skin leaving it smooth and not dry. We all have natural oils in our body and this unique body chemistry allows the Egyptian Oil to adjust producing a fragrance unique to you. Wearing Egyptian Oils is truly a more sophisticated way of wearing perfumes. Fragrance can last 3 times longer than wearing perfumes on the skin. To wear Egyptian Oils... is to wear fragrance that are never offensive or over powering.... just balanced natural and long lasting. All Egyptian Oils are presented to you in a traditional decorative glass bottle with a glass top and housed in an Egyptian box. We do hope you will take a look and select an Egyptian Fragrance made just for you. If one has to go to a recorded time when one could be sure of the prevalence of Aromatics, one has to Time Travel to…. Ancient Egypt. Translations of Ancient Egyptian Hieroglyphics (Medu neter) show manuscripts, that Priests and Alchemist were using extracted oils from plants and herbs for healing thousands of years ago. This makes essential oils the earliest known medicine highly revered. The Pharaohs of Ancient Egypt routinely exchanged Blue Lotus Oil with the kings of India for gold and other precious goods. And so it is…, essential oils were at one time in history considered more valuable than gold. After you finish transfer back to your hotel.